You'll be £8.00 closer to your next £10.00 credit when you purchase Belgium in the Second World War. What's this? When the Nazis invaded neutral Belgium in May 1940, defeat and occupation were inevitable but Belgian armed forces held out against a vastly superior enemy for 18 days. The elected Government went into exile in London but King Leopold III controversially remained with his people as a prisoner. 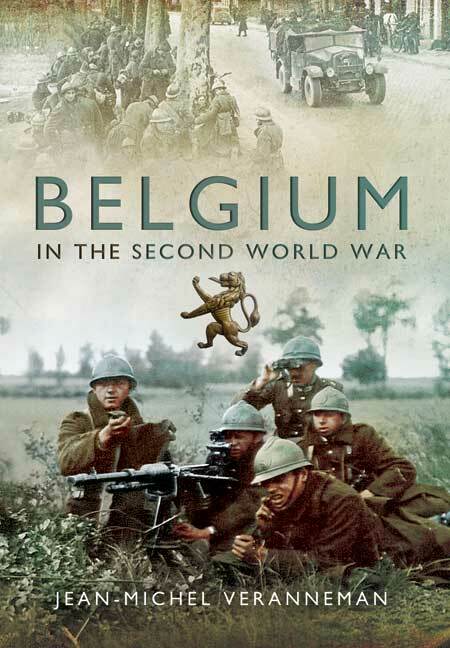 As described in this authoritative book, Belgians continued the fight both outside and inside their country. There were eventually two complete Belgian RAF squadrons. The Colonial Army defeated the Italians in East Africa and the Belgian Brigade fought from Normandy to Germany. The Belgian Resistance organized escape routes, sabotaged their occupiers' activities and spied for the Allies. 17,000 died or were executed and a further 27,000 survived detention. Meanwhile others collaborated and fought for the Nazis and large numbers were tried post-war for war crimes and treason. About half the Jews in Belgium in 1940 died in the Holocaust and there are many stirring stories of courage, as well as tragic ones. This is an overdue and honest account of one Nation's very varied experiences during five years of Nazi occupation and oppression. Veranneman’s book reads well. The photographs and campaign maps are excellent. A host of interesting details emerge in passing, such as the information that the guns in some Belgian forts were hand-me-downs from the old German Imperial Army given to Belgium as reparations after 1918. Geography and cruel fate caused the small but strategic country of Belgium to be an early and tragic victim of World Wars I and II. In each case, it was amongst the first countries in Western Europe to be invaded by Germany, which triggered both cataclysmic events. Unfairly, in neither case was Belgium's role given its proper place by historians or writers of political and military history. An outstanding correction on all counts has been made in an excellent book by retired Belgian ambassador Jean-Michel Verraneman, an outstanding and senior member of its diplomatic service. With profound insight and balanced judgement, he offers a throughly researched and greatly detailed explanation of those historic events, which affected almost all of Europe's countries, offering special emphasis on Belgium. The book thus offers a balanced view of the action, strengths and weaknesses, morale of both sides. It is also aided by excellent maps and a handsome collection photographs of fortifications, equipment and individuals -- many from the author's own collection. Altogether, it is a splendid -- and much needed -- account of Belgium's little known role in both wars. It would be of experts' and laymen's interest to read it, to gain a more detailed picture. This is an interesting book, and one that covers a slightly different view of WWII...I found this to be an engaging read, and some new perspectives of what happened in Belgium during this period. This is a much overdue correction of the neglect of the Belgian story, the author has provided an honest account of Belgium's very varied experiences through five years of conflict, occupation and oppression to liberation. A well-told story. Highly recommended. This is a long overdue account of Belgiu's role in World War Two. Jean-Michel Veranneman has really gone beyond the usual account of the storm Blitzkrieg ravaging neutral Belgium. He gives a detailed account of the 18-day resistance offered by the outnumbered and outgunned Belgian military. Equally interesting are the chapters on the realities of the occupation, the overseas contingents that fought on after capitulation and the Belgians that fought for the Nazi regime later in the war.